The 2017 deadly quake that rocked Kermanshah province in western Iran and killed over 600 was one of the most powerful earthquakes in the country over the past fifty years. It is often described as a deep wound sustained by all Iranians at 21:48 on November 12, 2017. The massive geographical scope of the quake along with its bad time and the cultural features of the region have distinguished Kermanshah quake from similar strong quakes ones across Iran. Now, one year on, how is the situation of the quake-hit areas? The quake which razed to the ground thousands of homes in Kermanshah has not yet left the province even after one year. “Immediately after the quake, rescue operations were carried out well and during my visit to the quake-hit areas one day after the plight, I was told by the villagers that they were satisfied with the operations,” he said. The president then praised the efforts made to cope with the aftermath, describing them as big and grand. “All the wounded were immediately taken to hospitals in the cities of Kermanshah as well as neighbouring provinces. By the time I arrived in Kermanshah hospital, at least 300 surgeries had been carried out which is a big deal by itself,” Rouhani said. “The next phase of accommodation coincided with the beginning of the cold seasons. This phase was passed behind very well with the support provided by Iranians from all walks of life,” he noted. President Rouhani said about 5,000 conex boxes were provided by people and the government financed the provision of about 14,000 more. 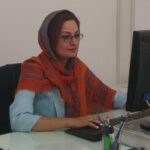 “When I paid a visit to the quake-hit areas for the second time during Persian New Year holidays, I witnessed in person how helpful the conex boxes were,” he said. About 100,000 homes were partially or completely damaged during the quake which is by itself a big number. Over 70,000 homes have already been reconstructed. There are many people who were tenants when the quake hit their houses. Now they are still living in the conex boxes and the government needs to handle their problems properly by adopting appropriate measures like renting a house for them or providing them with a chance to own a piece of land to build their own house. Kermanshah Governor General Houshang Bazvand puts the number of houses destroyed after the quake at 104,000 units. “So far 16,500 units have been rebuilt and 53,500 units have been reconstructed. 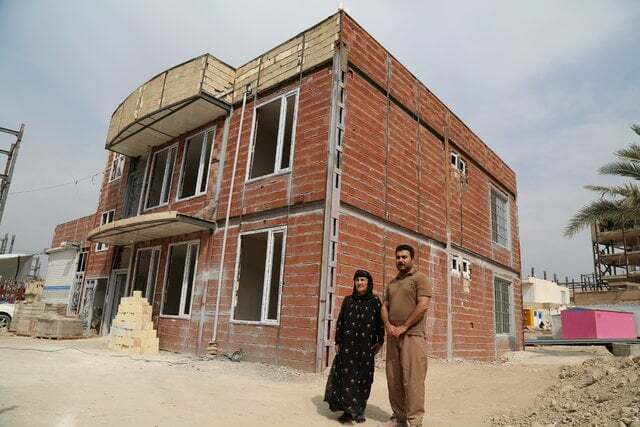 We are planning to deliver all the houses to their owners by the end of this Persian year,” he said.